Guo Zhong and Huang Lian Po decide to take a risk, and splash paint on the Xians’ door in a bid to force them to move. Michael Leigh catches them red-handed, and wants them to help him catch the loanshark after getting them to repaint the walls. When Shan Shan and Xian He finds out that the couple helped them to paint, they are incredulous. 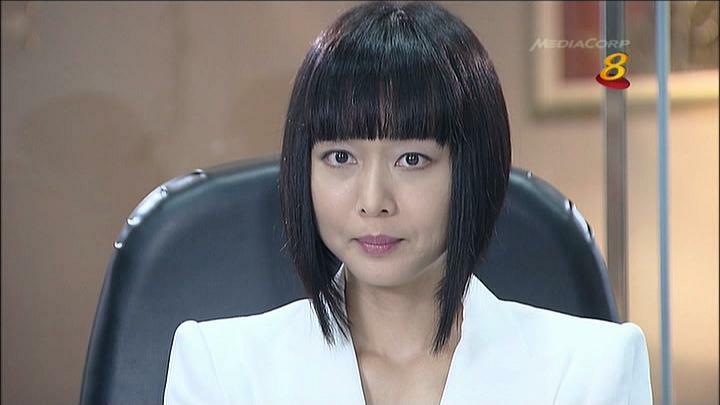 Tian Hu and Ye Meng break up over a misunderstanding, leaving them both broken-hearted. Ye Meng tells Ru Yi about the break-up, apologizing for letting her down, and suggests closing down the business. It turns out that the company is opened by Ru Yi for Tian Hu. She encourages him to stay by Tian Hu. With help from Da Fa, Ye Meng manages to get Tian Hu’s forgiveness. Xian He’s work injury prevents him from working, and his family falls into desperate times. Ye Meng suggests she busks,and Tian Hu helps to raise money for him. 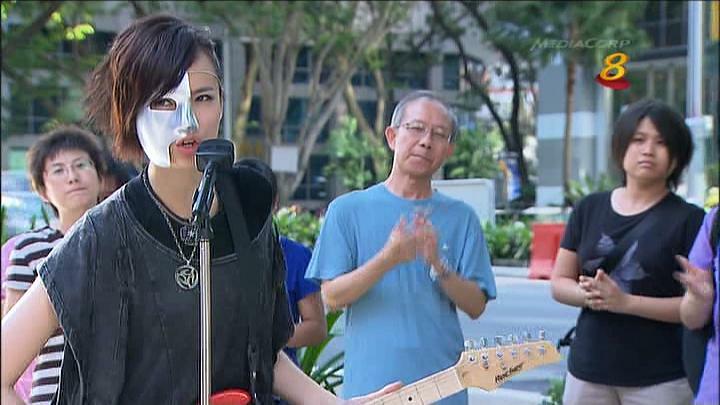 When Tian Hu gets stage fright, Da Fa gives her a mask to wear. Ru Yi leads by donating first, and the rest of the crowd soon follow. Tian Hu is elated. Huang Lian Po sells the house to pay her debts, but realizes the buyer is her own daughter-in-law. Huang Lian Po and Guo Zhong blame Angelina, but she only withheld her identity knowing Huang Lian Po would not have agreed to sell if she knew. 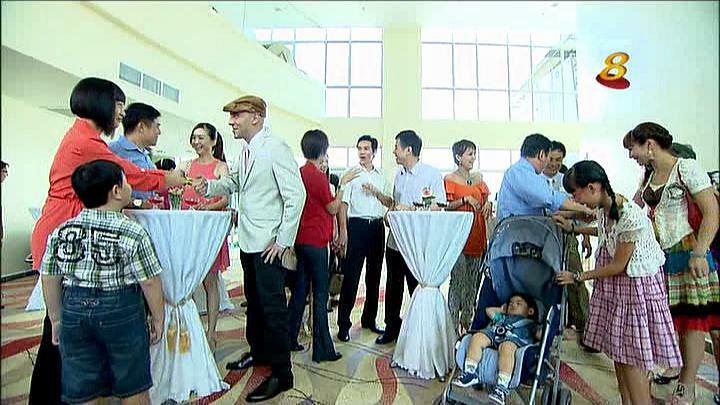 De Liang tries to mediate, and his parents gradually accept. Huang Lian Po falls into the water, and although she does not know how to swim, Angelina jumps in to help. Huang Lian Po is very touched, and finally forgives her. Ye Meng cares for the sick Yu Fang, but not knowing how to handle his feelings for Tian Hu, he chooses to run away. Tian Hu leaves, broken-hearted. Ye Meng and Tian Hu does not get together in the end although she has became a superstar. Video of the scene where Yu Fang’s says the break-up speech to Ye Meng, and his break-up speech to Tian Hu in Love Thy Neighbour.